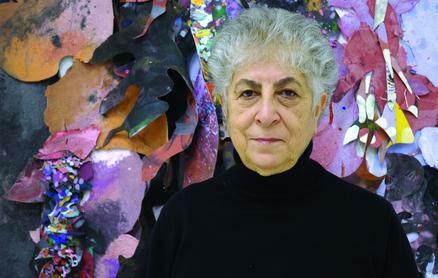 Samia Halaby will be giving the keynote speech entitled 'The Political Basis of Abstraction' in the 20th Century, at a Symposium in honor of artist Etel Adnan at the University of Bern in Switzerland. The event will be taking place from 27-28 September in collaboration with the Zentrum Paul Kleen. Halaby will be discussing the relationship between abstraction and political activism in an event which will bring together scholars and PhD students working in the field. Art’s role and capability as a medium for peaceful political protest will be discussed, along with other topics such as the relationship between artistic efforts and activism, and the current face of abstraction in the region. These issues all serve as a mirror for looking at the current work of Arab artists in all their complexities. In addition to the discussion of these topics, the Symposium will include a visit of Lebanese artist, Etel Adnan’s new exhibition.